Amsterdam, Noord Holland, Nederlands, European Union. — April 1, 2016 — Microsoft Corp. on Friday morning announced that it has released the next version of its flagship Relational (and beyond) Database Management System SQL Server Horizontica. Mr Stein who is a member of that team will explain what he likes the most about Goes To Eleven. 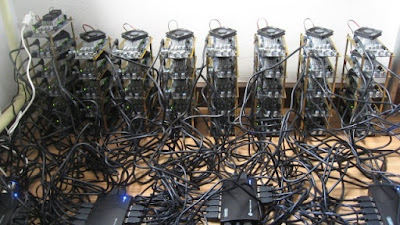 The best part about Goes To Eleven is that if the GPU used capacity is below 50%, SQL Server will automatically use the excess capacity to start bitcoin mining. This in turn will lower the cost of running SQL Server, it really is a no brainer. When you need capacity it is there, when you don't need it, you earn money. Being a former Oracle customer where the licensing model is "How much money do you have?" this is really welcome. When we looked at Vertica and Sybase IQ customers we noticed a lot of queries executed were using SELECT *, this is very slow with a columnar data storage. With our patent pending rowstore, it is as fast as the traditional page store. The ROI is immense, no more do programmers and brogrammers have to find all the code where a table is used to add the additional column, SELECT * is always correct. Rowstore is also more natural, when getting the data back people read from left to right or right to left, people don't read from top to bottom, since the data is already stored in rows...no transform needs to happen, this also makes data display faster. This is really exciting, instead of a regular stretch database on Azure, Universal Stretch will copy your data on one of our data centers located in the universe. This year it is just on the Moon where we have a data center already, in 2 years you can also use the one we are currently sending to Mars. Then when we start sending people to Mars, you are already open for business...the data is already there and it will be synchronized between Earth, Moon and Mars. Universal Availability Groups work the same way, you plug in the planet or moon and we take care of the rest. ChandarUma ChandranJaya (also known as CU) program manager on the SQL Server programmability team will fill us in on some additional new features not mentioned yet. Swift is a brand new storage engine, you can use this when you don't need constraints, keys..after all real developers manage those in the app tier. You enable this per database and you can make the same face as Taylor when thinking how you don't have to deal with all those nasty constrains that just get in the way. The beauty of Swift is that if you do have constraints in your DDL scripts, they will be just silently ignored. No more scripts that have to run in a specific order...it always runs fine..., your manager will love, no adore you..